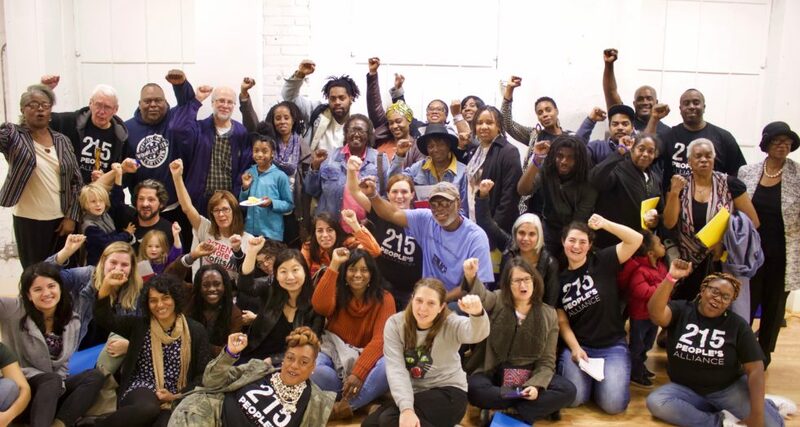 215 People’s Alliance is a volunteer-led multiracial organization dedicated to fighting for equity and justice in Philadelphia at the ballot box, and in the streets. After a few short years 215 People’s Alliance has helped win a number of crucial campaigns in the Philadelphia area. We anchored the Our City Our Schools campaign to regain local control of Philadelphia public schools; the Dump Wells campaign, which moved $2 Billion in city money out of Wells Fargo; and an independent field effort for the 2017 District Attorney’s primary election to elect Larry Krasner. The Organizing Director works with the volunteer Executive Committee to lead and execute strategies to engage everyday people in grassroots organizing, direct advocacy, and campaigns for electoral change. The Organizing Director is responsible for leading 215 People’s Alliance organizing staff through training, planning, direction setting, and supervision. The Organizing Director represents 215 People’s Alliance in local and national coalitions and will attend convenings and events to share about 215 People’s Alliance’s work. We’re looking for a strategic thinker, a team player and strong manager. 215PA is a collaborative, supportive, high-paced work environment. We are committed to developing leadership and skills of staff and members through ongoing collective learning and reflection. Compensation: Salary based on experience, ranging between $50,000 – $60,000. Health coverage paid 90% by employer. To apply: Send cover letter, resume and three references through the webform here (http://bit.ly/215pajobcall). Applications reviewed on a rolling basis. ← Vote with the People’s Platform!